Apple has announced that its long-awaited iPad will be available for purchase for consumers starting on Saturday, April 3, while pre-orders for the multi-touch device will begin on March 12. While the Wi-Fi model will be the only available at first, the 3G-capable iPad is expected to arrive in late April. In addition, all versions of the hardware will be available in the U.K., Canada, France, Germany, Australia, Italy, Japan, Span and Switzerland in late April. Preorders for the iPad will begin on March 12, with both the Wi-Fi and 3G models available for reserve from apple.com. The Wi-Fi model will be available in-store as well on Saturday, April 3. That date is just a few days later than the 60-day launch window Apple announced at the device's unveiling in late January. "iPad is something completely new," said Apple CEO Steve Jobs. "We're excited for customers to get their hands on this magical and revolutionary product and connect with their apps and content in a more intimate, intuitive and fun way than ever before." 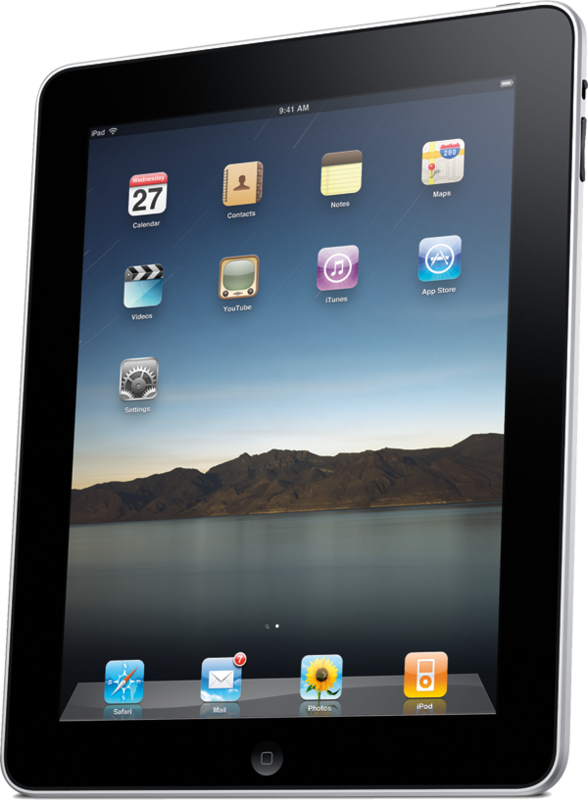 A pair of recent rumors have suggested that the initial availability of the iPad could be limited. However, while the launch shipments could be restricted, reports have suggested that supply constraints will not last long. Friday's announcement from Apple also disproves a rumor of an earlier launch date, which also brings into question the report's claims that Apple store employees would receive training on March 10, and TV commercials for the iPad would begin to air on March 15. The inaccurate report came from The Examiner. Analyst predictions for first-year iPad sales are varied, with Wall Street forecasting between one million and five million shipments. 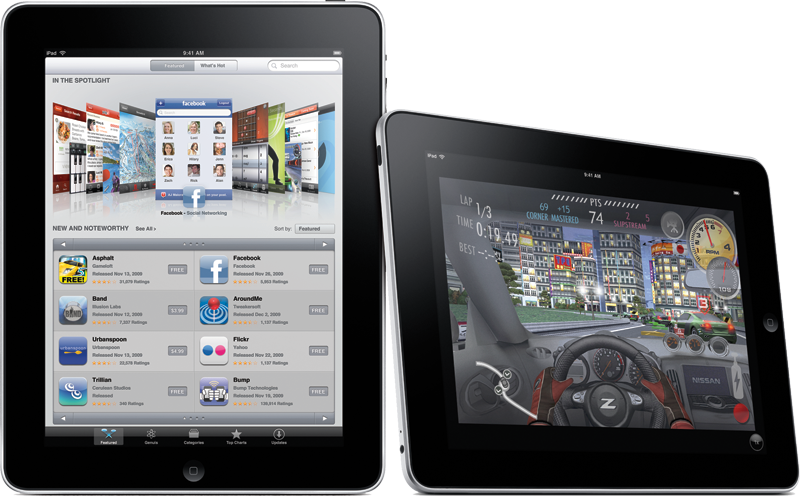 The market for the iPad is expected to grow as developers find new, unique uses for the device through the App Store. Starting at $499 for 16GB of storage, the iPad lets users browse the web, read and send email, enjoy and share photos, watch videos, listen to music, play games, read ebooks and much more. 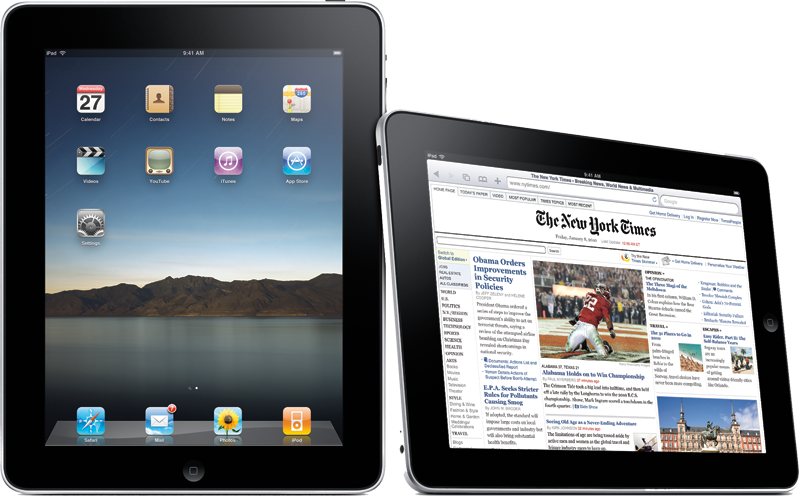 The iPad is 0.5 inches thick and weighs 1.5 pounds, making it thinner and lighter than any laptop or netbook. It also delivers battery life of up to 10 hours. Apple said the iPad's multi-touch interface makes surfing the web an entirely new experience, dramatically more interactive and intimate than on a computer. Users can read and send email on iPad's large screen and almost full-size "soft" keyboard or import photos from a Mac, PC or digital camera, see them organized as albums, and enjoy and share them using iPad's slideshows. iPad makes it easy to watch movies, TV shows and YouTube, all in HD, or flip through the pages of an e-book you downloaded from Apple's new iBookstore while listening to your music collection. The App Store on iPad lets users wirelessly browse, buy and download new apps from the world's largest app store. iPad includes 12 new innovative apps designed especially for iPad and will run almost all of the more than 150,000 apps on the App Store, including apps already purchased for the iPhone or iPod touch. The new iBooks app for iPad includes Apple's new iBookstore, the best way to browse, buy and read books on a mobile product. The iBookstore will feature books from the New York Times Best Seller list from both major and independent publishers, including Hachette Book Group, HarperCollins Publishers, Macmillan Publishers, Penguin Group and Simon & Schuster. The iTunes Store gives iPad users access to the world's most popular online music, TV and movie store with a catalog of over 12 million songs, over 55,000 TV episodes and over 8,500 films including over 2,500 in stunning high definition. All the apps and content you download on iPad from the App Store, iTunes Store and iBookstore will be automatically synced to your iTunes library the next time you connect with your computer.